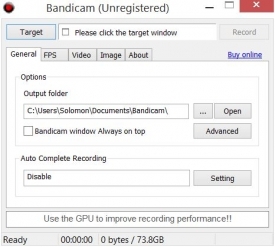 "Bandicam lets you record video and capture the screen while you're playing a video game." Sharing screenshots or sharing video with your friends hasn't always been the easiest thing to do. In fact, it still isn't all that easy. In fact, it is more difficult to record the video or screenshots properly than it is to share the media with your friends - but who wants to hit the "print screen" button all day? I know I don't. Not only that, but "print screen" takes a capture of your entire screen, rather than just the window in which your game is being played. After you take the capture, you have to open up "Paint" or some other similar application and paste the image, crop it, then save it. 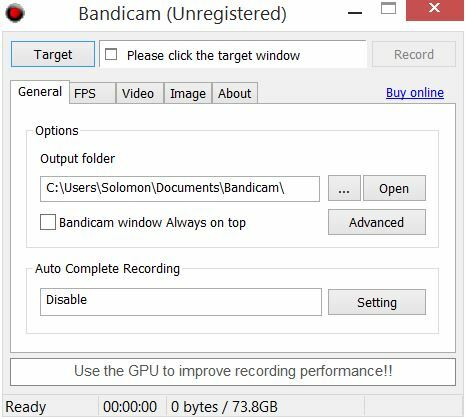 Bandicam helps to eliminate some of those steps by helping users set up hot keys that they can press to speed up the process. 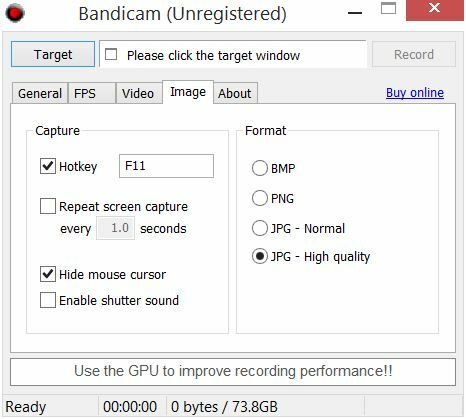 Hot keys allow users to take quick screenshots that can be saved to a particular area on the hard disk or trigger the start and/or stop of the screen recording so that you never have to exit your game. 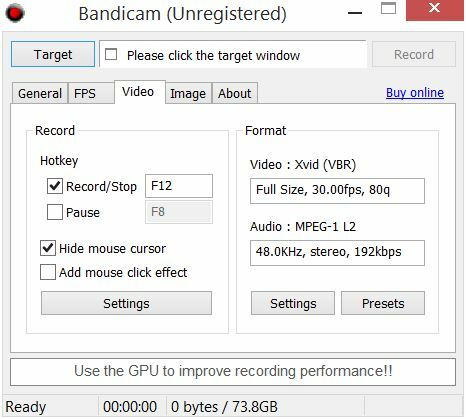 Bandicam is a great solution for any screen capture task. Share your pictures and videos easily after recording as the files save in a web ready format, unlike some other screen capture applications that only save the files in a format that is only readable by the screen capture application itself unless you pay for the full version of the application.